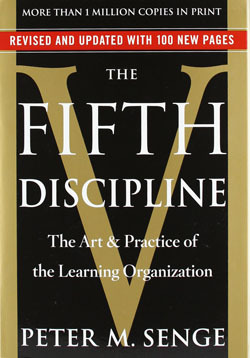 Create a sustainable advantage by building a Learning Organization! In today’s increasingly dynamic and complex word, an organization’s ability to learn and renew itself is a sustainable competitive advantage. Learn how to build a learning organization today! See more details below. 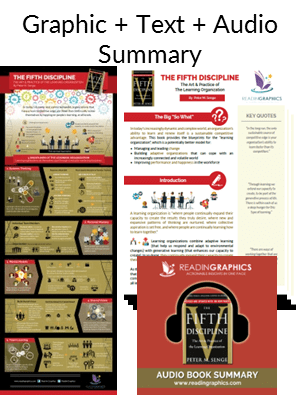 Download The Fifth Discipline Summary in pdf infographic, text and audio formats, or preview the book summary via our blog. In today’s increasingly dynamic and complex word, an organization’s ability to learn and renew itself is a sustainable competitive advantage. 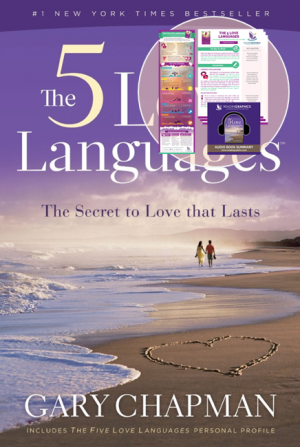 • Improving performance and happiness in the workforce. 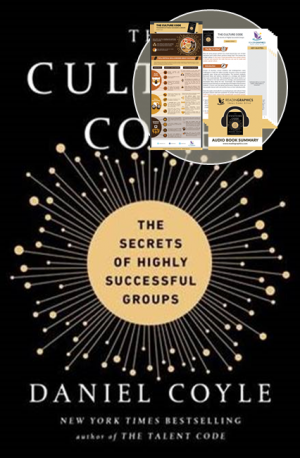 • Learn the power of team learning and how to foster that in your organization. 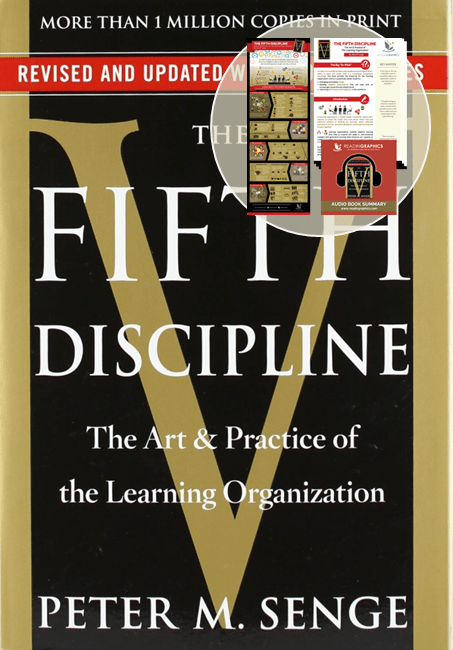 • What is a learning organization? • What’s the difference between adaptive learning and generative learning? 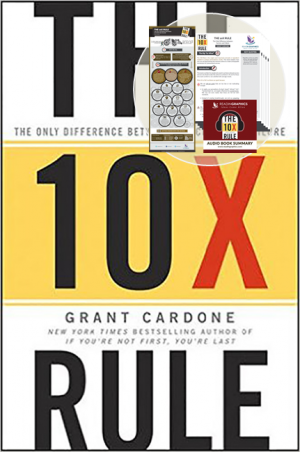 • How can we solve complex problems in a fast-changing world? 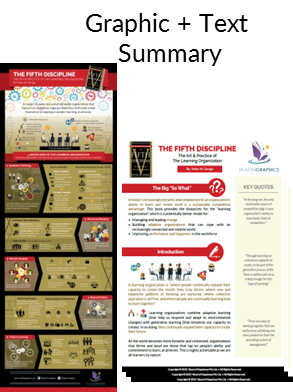 • What are the ingredients involved in building a creative, learning culture? 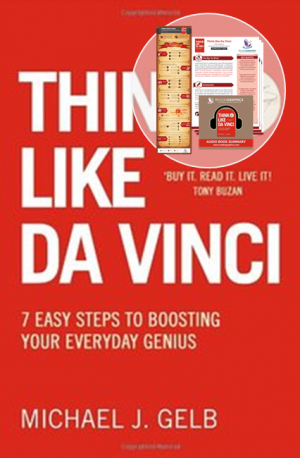 • How do we nurture creative problem solving at personal, team and organizational levels?